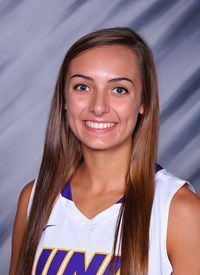 CEDAR FALLS — Karli Rucker filled the stat sheet as the University of Northern Iowa handled Loyola 64-52 Sunday in a Missouri Valley Conference women’s basketball matchup at the McLeod Center. Rucker, a sophomore guard from Eldridge, scored the first seven points of the game and never let up on the way to a double-double of 23 points and a career-high 10 rebounds. It was her second double-double in the last three games while she also had two assists and two steals. It was the type of performance that put a smile on head coach Tanya Warren’s face. UNI (10-6, 3-1) led 9-0 before Loyola (1-2, 7-7) got on the board. The Panthers hit 9 of 12 shots in the first quarter on the way to a 22-12 lead. The Ramblers got within 32-26 by halftime, but UNI started the second half with another 9-0 run to build a 41-26 lead. The closest Loyola got after that was 55-47 with five minutes to play, but Panther senior Ellie Howell buried a 3-point shot and UNI finished strong from there. UNI shot 43 percent overall for the game and attempted just eight 3-point shots, making four. The Panthers had a season-low nine turnovers, won the rebounding battle 35-29 and made twice as many free throws as Loyola (14-7). Defensively, UNI held the Ramblers to 37.7 percent shooting and kept Abby O’Connor, one of the league’s top scorers, in check. O’Connor was averaging 14.5 points per game and had made 24 3-point shots at a 46.2 percent success rate, but she was just 2-for-6 overall Sunday (2-for-3 on 3-pointers). “I thought it was terrific from start to finish with our scouting report details ... “ said Warren. “We did a great job of team defending. Rucker said that defense fed into UNI’s offense. “Our stops on defense allowed us to get out in transition and push the ball and see what we had on offense, and then we were knocking down big shots,” she noted. Mikaela Morgan joined Rucker in double figure scoring for UNI with 13 points, and Howell finished with 11. The Panthers return to action Friday when league leader and defending MVC champion Drake visits the McLeod Center for a 7 p.m. tipoff. LOYOLA (7-7, 1-2) — Rice 4-9 4-4 12, O’Connor 2-6 0-0 6, Wallace 4-14 2-4 11, Negatu 1-2 0-0 2, Day 2-6 0-0 4, Meyer 2-3 0-0 4, Gonzales 3-8 0-0 8, Strawbridge 0-1 1-2 1, Covington 1-3 0-0 2, Dujnson 1-1 0-0 2. Totals 20-53 7-10 52. 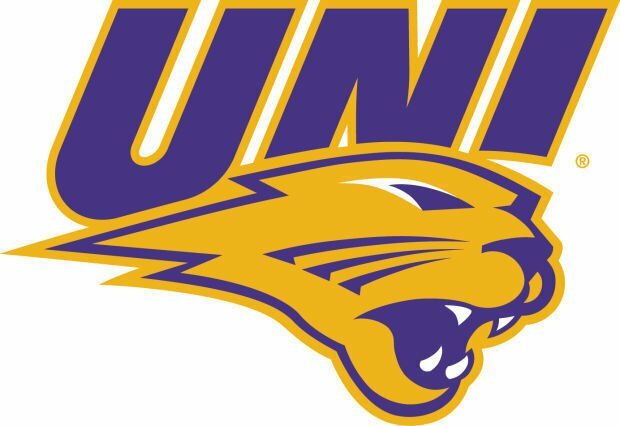 NORTHERN IOWA (10-6, 3-1) — Rucker 9-16 3-4 23, Howell 3-11 4-4 11, Gunnels 0-1 0-0 0, Morgan 5-5 2-2 13, Hagen 2-6 4-6 8, Kroeger 1-4 0-0 2, Finley 0-4 0-0 0, Wolf 2-2 0-0 4, Hillyard 1-2 1-2 3, Gerrits 0-2 0-0 0. Totals 23-53 14-18 64. 3-point goals — Loyola 5-14 (Rice 0-1, O’Connor 2-3, Wallace 1-3, Gonzales 2-6, Strawbridge 0-1), UNI 4-8 (Rucker 2-3, Howell 1-2, Morgan 1-1, Kroeger 0-1, Finley 0-1). Rebounds — Loyola 29 (Day 9), UNI 35 (Rucker 10). Assists — Loyola 9 (Day 3), UNI 11 (Hagen 3). Turnovers — Loyola 13 (Wallace 4, UNI 9 (Rucker 2). Blocks — Loyola 3 (O’Connor 2), UNI 1 (Wolf 1). Steals — Loyola 5 (Wallace 2), UNI 8 (Howell 3). Total fouls — Loyola 12, UNI 11. Fouled out — none. Att. — 1,364. LOYOLA (7-7, 1-2) -- Rice 4-9 4-4 12, O'Connor 2-6 0-0 6, Wallace 4-14 2-4 11, Negatu 1-2 0-0 2, Day 2-6 0-0 4, Meyer 2-3 0-0 4, Gonzales 3-8 0-0 8, Strawbridge 0-1 1-2 1, Covington 1-3 0-0 2, Dujnson 1-1 0-0 2. Totals 20-53 7-10 52. NORTHERN IOWA (10-6, 3-1) -- Rucker 9-16 3-4 23, Howell 3-11 4-4 11, Gunnels 0-1 0-0 0, Morgan 5-5 2-2 13, Hagen 2-6 4-6 8, Kroeger 1-4 0-0 2, Finley 0-4 0-0 0, Wolf 2-2 0-0 4, Hillyard 1-2 1-2 3, Gerrits 0-2 0-0 0. Totals 23-53 14-18 64. 3-point goals -- Loyola 5-14 (Rice 0-1, O'Connor 2-3, Wallace 1-3, Gonzales 2-6, Strawbridge 0-1), UNI 4-8 (Rucker 2-3, Howell 1-2, Morgan 1-1, Kroeger 0-1, Finley 0-1). Rebounds -- Loyola 29 (Day 9), UNI 35 (Rucker 10). Assists -- Loyola 9 (Day 3), UNI 11 (Hagen 3). Turnovers -- Loyola 13 (Wallace 4, UNI 9 (Rucker 2). Blocks -- Loyola 3 (O'Connor 2), UNI 1 (Wolf 1). Steals -- Loyola 5 (Wallace 2), UNI 8 (Howell 3). Total fouls -- Loyola 12, UNI 11. Fouled out -- none. Att. -- 1,364.